Hotel Overview You expect your hotel to offer you a combination of convenience, hospitality and warm ambience. This is exactly what you will find at Tzonevi's Guest House. 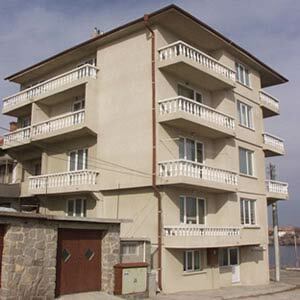 Located in the beach coast, 400m away from the central and south Sozopol's beach . Please send me an offer for accomodation 4 adult persons and one child (two and half years old,no extra bed required)for 10 nights in july. what is the price of the rooms. wich kind of rooms are there? Can you send me some details, please? How mutch?Where is it house in Sozopol?